Rawa kesari or Rava Kesari, is the most easy sweet. It is made with Semolina or Suji. It is made during Satyanaraya Swami Vratam puja in my home, but with a little changes and the color will be white or light golden color. When I was a kid it is served in marriages. I used to love it and asked my mom to make as it is served. 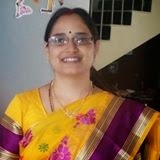 She is so lovely always make it for me specially. I used to love that color and the shape mainly that diamond cut. I called it 'Diamond Sweet'. 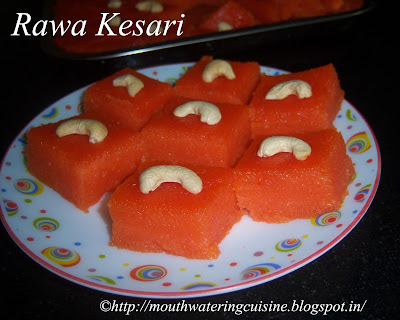 Whenever I wish to have sweet I prefer make only two sweets one is this and the other one is Semiya payasam or kheer. Heat 1/4 cup of ghee in a kadai, add suji and fry till the raw smell goes off. Add water and allow it to just boil. Now add sugar and mix well. Let it boil for a while. Add food colour to it. Food color can be add directly or it can be mixed with water and added to suji. I added it directly. Once the color mixed with the rawa, add cardamom powder. Mix it again. Allow it to cook. Meanwhile apply ghee to a plate on which we have to pour the suji mix. While stirring occasionally, cook it till the suji does not stick to the kadai. And also becomes as one round ball. This may take 10 to 12 minutes. Cook on low flame only. 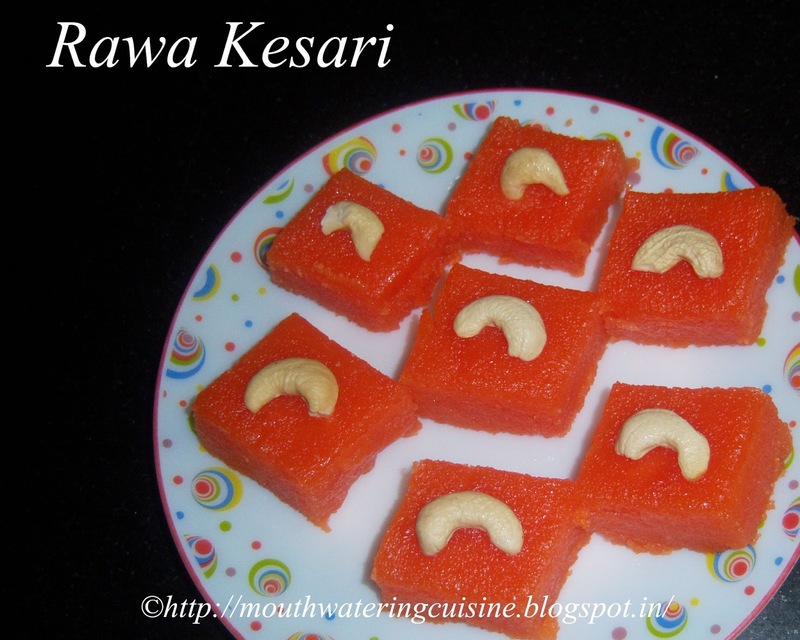 Once kesari reached desired consistency, Pour this on to the greased plate and spread. Cut it into desired shapes, normally it is in diamond shape only. I decorated it with cashew nuts on top of it. Serve this simple sweet for this festive season. Enjoy!! !